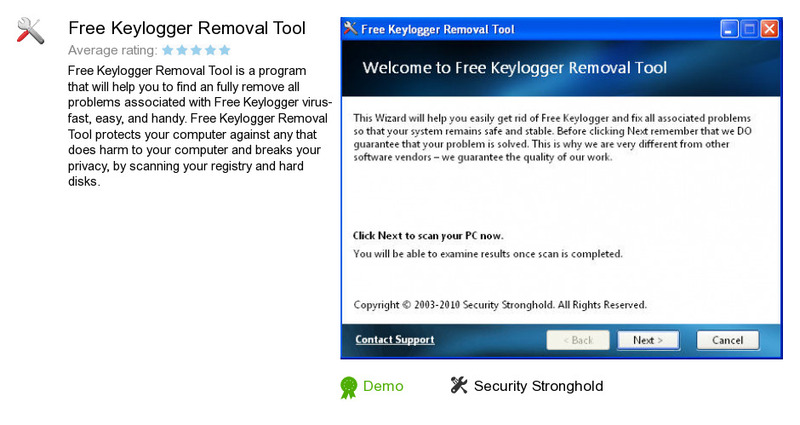 Free Keylogger Removal Tool is a program developed by Security Stronghold. We know of version 1.0. Version 1.0 is available for download at our site. Free Keylogger Removal Tool installation file has a size of 2,275,242 bytes. Security Stronghold also publishes Win 32. Sality . XRemoval Tool and Koobface W32. Koobface . ARemoval Tool.